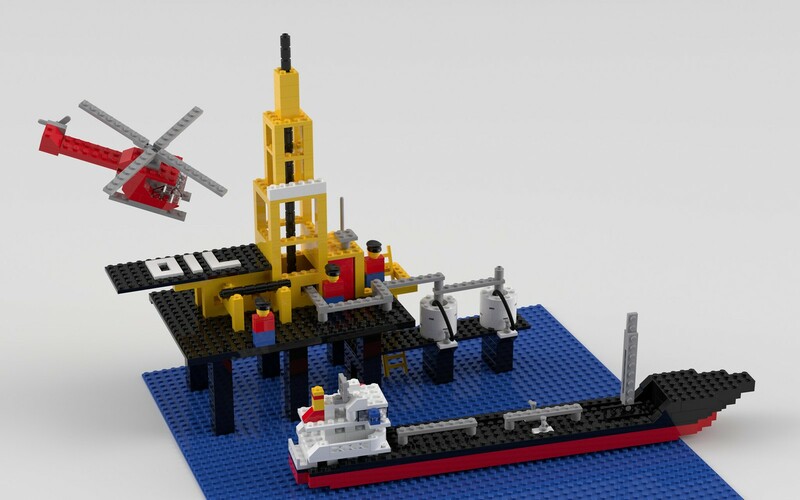 Twenty years later, this offshore oil rig still looks great. 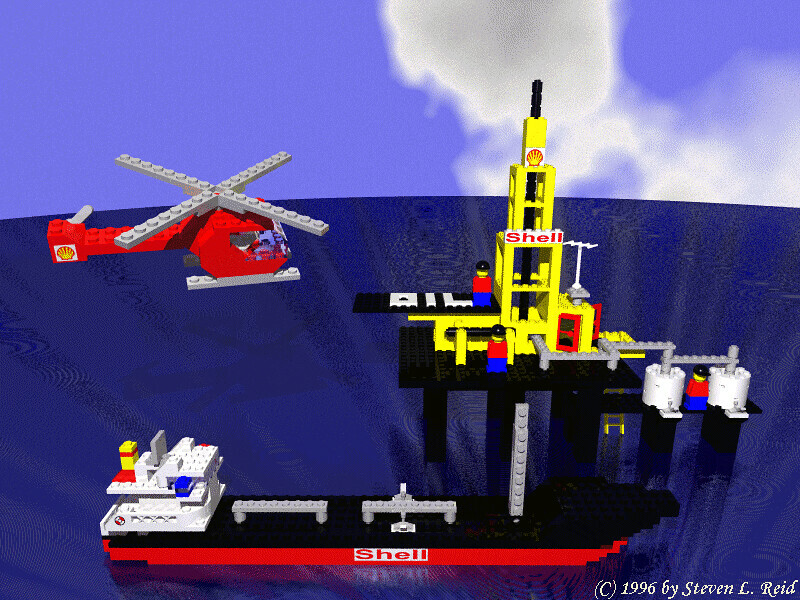 Hard to believe, but 20 years ago I started dabbling with POV-Ray to render models with virtual LEGO bricks. Set 373, my second rendered model, is over 20 years old now. Started in April of 1996, it’s seen many iterations over the years. This month I decided to build it once more—this time using Mecabricks and Blender. The joy of building the set again. Model 373 was my largest set back in 1977. I have fond memories of putting it together, still owning the set and instructions even today. Although I haven’t tried to find all the pieces in quite some time, I’ve dug up pieces over time to model them. But oh did I enjoy building this set. The model itself is pretty unique. The number of rounds and 8x16 plates in this set was like LEGO gold. They became the foundation for many other sets over the years. Even the old style mini-fig, as short lived as it was, still looks great. Doors, hoses, quarter rounds, and faucets—there is a lot here to enjoy. Digging through my LEGO site, I realized I had an opportunity. With my recent embracing of Mecabricks, I once more set each virtual brick in place. Yet this time I used online instructions—too lazy to dig through my old stack. It did’t take long, soon yielding the picture below. Note that I made a few substitutions due to pieces not being available. I’m still learning Blender and haven’t gotten around to adding stickers yet. When I do, I’ll update the set. For now, though, it looks just fine. Thinking about this post, I pondered how much things have changed her twenty years. My first rendition of this model was using POV-Ray 2.2 on my old 100MHz Digital Starion. POV-Ray is up to v3.7 now. DEC is long gone, and 100MHz computers have made way to multi-gigabit speed demons. But I’m not sad. I’m proud of what I created, then and now. I learned a lot over the years. The model above is a mix of LEGOLIB, a library now long gone, and custom parts. I later replaced LEGOLIB with my own own L-Bricks library, carefully improving each brick over the years. I cleaned up the brick finish and updated the stickers too many times to count. It was worth it. I had fun! 2016 has been a great. This is my “no excuses” year when it comes to my web sites. To that end, I recently started to update my LEGO site. Frozen in time, it’s time to put the nostalgia in the past and put a little paint on that dark theme. It may not get done this year, but that’s okay. I’m making progress and building again. Enjoy this set, I have more on the way!